This fully revised and extended edition of James Nickel’s classic study explains and defends the contemporary conception of human rights. Combining philosophical, legal and political approaches, Nickel explains international human rights law and addresses questions of justification and feasibility. New, revised edition of James Nickel's classic study. Explains and defends the conception of human rights found in the Universal Declaration of Human Rights (1948) and subsequent treaties in a clear and lively style. Covers fundamental freedoms, due process rights, social rights, and minority rights. Updated throughout to include developments in law, politics, and theory since the publication of the first edition. New features for this edition include an extensive bibliography and a chapter on human rights and terrorism. 1. The Contemporary Idea of Human Rights. 2. Human Rights as Rights. 3. 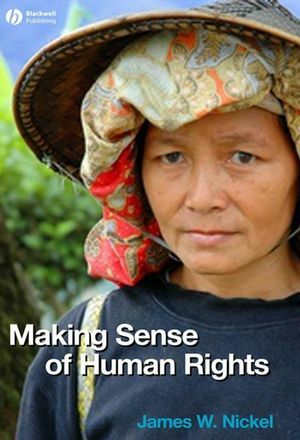 Making Sense of Human Rights. 4. Starting Points for Justifying Rights. 5. A Framework for Justifying Specific Rights. 7. Due Process Rights and Terrorist Emergencies. 8. Economic Liberties as Fundamental Freedoms. 9. Social Rights as Human Rights. 11. Eight Responses to the Relativist. 12. The Good Sense in Human Rights. The International Covenant on Economic, Social, and Cultural Rights.